The Egyptian Plastic Manufacturers Association is organizing the largest and most important event in the field of plastic technology. The 7th Plastix Exhibition is the largest regional event in the field of industrial exhibitions specialized in plastic technology. MR.Khaled abou ELmakarem EPEMA’S board member who focus on the development and growth of the plastic and rubber industry announced that EPEMA in its efforts to provide more technical services to its members launched the specialized technical unit that will be acting as a technical consultant through its well trained technical team for offering the technical assistances and consultancy to manufacturers along with feasibility studies business plan and marketing studies, the main objective of this unit is to help manufacturers to set reform and restructuring programs to their entities in order to develop and grow their activities . MR. Mohammed taher –EPEMA’S executive director announce that the associations and in line with its international co-operation with its regional peers will be start having protocol of co-operation in the field of technical training also a tailored made programs will be set to fit all potential manufacturers according to their needs . EPEMA welcomes on board the join of Dr.Emad Elshafei as its technical consultant , Dr Emad will be also responsible for the technical operations as the executive manager of the plastic institute. All the best Dr.Emad in your business task . We also welcomes joining Mrs. Eman Ahmed who will be in charge of the marketing division all the best and success in your challenge . EPEMA organized for its members a business trip for attending the valued event K-Show. 27 delegates visited the trade fair and they benefit from this participation through having beneficial meetings with exhibitors. As one of the strategic markets that EPEMA deem to have a solid presence, we will be participating in Nile Plast 2010 Exhibition for Plastic Industries, during the period for 6-9 December 2010. NB: There will be attractive offers to our members who seek to participate in said exhibition. PLASTEX Ukraine is Ukraine´s leading exhibition for the plastics and rubber industry. It gathers important supplier of plastics and rubber machinery, raw and auxiliary materials and semi-finished products, technical parts and reinforced plastic products under one roof. It is an ideal platform to showcase products and innovations and to establish business contacts with Ukrainian and foreign partners. EPEMA succesfully organized the Egyptian plastic industry pavilion in the Chemical Industries exhibition in Damascus, in cooperation with Egyptian Council of Chemical Industries & Fertilizers and Industrial Modernisation Centre, with support percentage of 85% of the price per square meter, according to the new conditions of IMC. Plastic Expo is an exhibition organized every two years by Tunis International Fairs Company with the assistance of the National Federation of Chemistry and the National Union of Plastic Manufacturers and Processors. 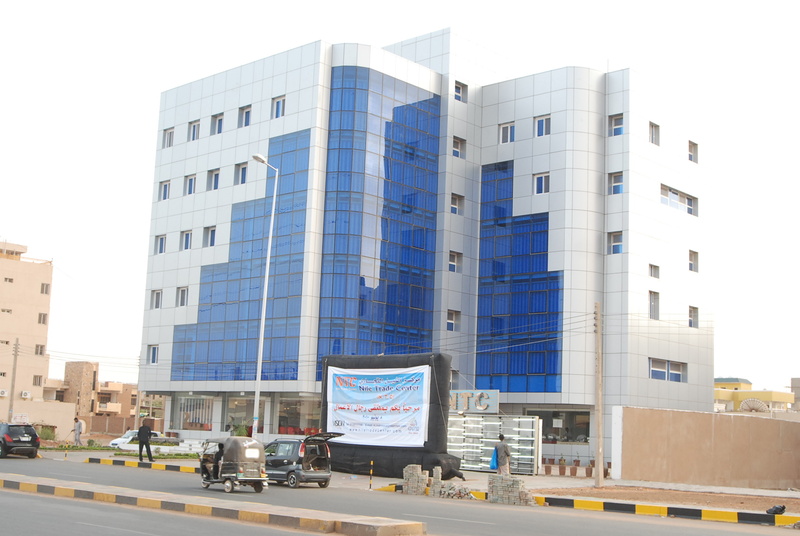 The project is characterized by a privileged position in the most vibrant commercial street in Khartoum Street (sixty street) Jarif western region, and also featured with the fantastic architect external and internal design in the highest degree of development, which gives confidence to customers with the center. The location is not the only feature in the center, but the media campaign which will be executed by the organizing company to market the project in Sudan and in surrounding southern states and countries, inter alia, including cooperation with the Egyptian Commercial Representation Office to invite business representatives of these countries, send marketing publications and literature to their embassies and contact traders and large manufacturers those states through the chambers of industry. The organizing company bears the costs of operating and maintenance of central air-conditioning, lighting, elevator and all expenses of maintenance of the Center. Building component of the ground floor and five floors. Luxury finishes inside, bound with granite from outside. Vibrant location in the main street in the center of Khartoum. Central air-conditioning, illuminated facade, central Internet, electronic gates, all of these services, the organizing company bears their costs without additional burdens on the exhibitors. One commercial record for the unification of dealing with government agencies, taxes and zakat. The organizing company has an import certificate which will save the exhibitor companies from dealing with whom have the right to import with a fee, which considered one of the main advantages we have in the residence, because of the difficulty of access by non-Sudanese companies. Fully legalization of documents for the project, so as not to make exhibitors bear the burden of official and administrative stuffs, like staff insurance, obligation to give alzakat, taxes and customs clearance. Provide a full management team, accountants, secretaries, security, administrative, cleaner. Call Center and administrative services (photocopying, telephone ...etc). ISP (Internet Service Provider) for each display units. 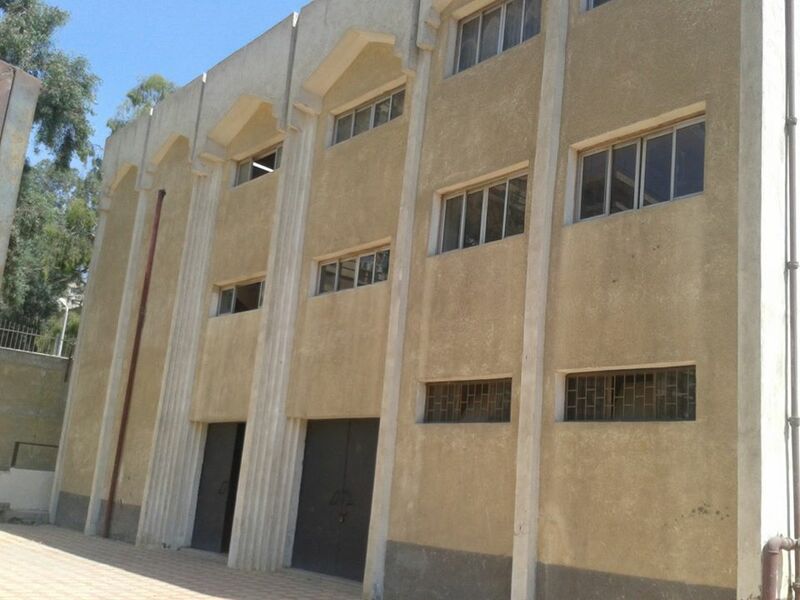 Provide a warehouse of 3000 square meters in the free zone area, costs paid by organizing company. Provide a bus for the transfer of the staff to the center in times of work start and then to stay in the leisure and then return again for a seat in the times of the work and then return to the residence at the end of the work. Fingerprint attendance (presence and leave) control system, and submit attendance weekly to parent companies in Egypt by e-mail. Camera surveillance system for all floors, directly connected throws Internet so that computers in parent companies in Egypt will be able to follow-up presence of its staff through the building. Management crew to the warehouse stores in the center and the free zone. Provide a warehouse in the bottom of the building for the present goods. Provide loyal customs and shipping company for customs clearance of goods and products, and will provide a vehicle for the transfer in the beginning of next year. Comprehensive insurance (against fire, theft, dishonesty, and riots). For deals that will be handled under the organizing company name, its value will be supplied either Cash or check to the company safe in Sudan and transferred to the parent company in Egypt, after calculating the expenses and taxes. Money keeping until it reaches the bank. Provide exhibitors with laws, regulations, investing lists in Sudan, the most important investment projects in Sudan and the investment opportunities available. Provide legal consulting for companies to complete the follow-up of the project and oversee the legal aspects. Conducting a media campaign and extensive. Provide companies with negative lists for the chemical industry are excluded from the COMESA agreement and provide their HS codes. Provide a database containing the most important companies Sudan of trade and import of products of chemical industry. After the great success of the last edition, EPEMA welcome you back to EGYPLAST 2010, the Egyptian exhibition for plastic exporters and manufacturers. The main purpose of the exhibition is Egyptian plastic industry exports development and to benefit from our supreme capabilities in both regional and international markets, especially with the global financial crisis affecting all the world economies. Everything you need will be there in EGYPLAST 2010, Machinery and Equipments, Raw Materials and Master Batch, Additives, Agriculture and Irrigation Necessities, Household products, Packaging and Wrapping Materials, Feeding Industries and Engineering Plastics, Medical and Pharmaceuticals products. BRASILPLAST is a unique opportunity for Egyptian Manufacturers to consolidate their corporate image, expand market penetration and reap the profits of an expanding market in a reviving economy. Come and join us in the forth coming global event the " Total Manufacturing Excellence "
North Africa international exhibition for the plastic industry is the most important gateway for the time being for all companies from all over the world to showcase their latest products and the latest modern technology in this industry, which is developing increasingly sophisticated at the many facts that are currently in one of the largest consumer market in <?xml:namespace prefix = st1 />North Africa.